During a Reddit AMA on Thursday, Wendy's social media team discussed its tweeting process. The team behind Wendy’s social media account held an Ask Me Anything session on Reddit Thursday afternoon to celebrate the brand’s "crazy year on Twitter." "From roasting our competitors to getting into rap battles to the most retweets of all time," Wendy’s wrote on Reddit of its 2017 highlights. "We never could’ve predicted all of this a year ago." The AMA attracted more than 6,000 comments. Whoever was manning the AMA was very cagey about disclosing specifics about who is actually on Wendy’s social media team. This might be because the legal team was in the room. The social-led team is mostly made up of millennials. In terms of who is behind the "savage burns," Wendy’s said "a couple of main people have been doing this (responding to tweets) for years, and a much larger team helps us do everything." Wendy’s also revealed that one person on the team "was/is" a comedian. The coolest member on the team is a guy who started a GoFundMe to get a Po' Boy for lunch today. When asked how they were chosen, Wendy’s said, "Maybe because we are all so cute." To get a job on Wendy's as a social media writer, you must take a sass test that consists of chugging a sarsaparilla in less than five seconds without getting sick. The social squad works "way more than" 40 hours per week. The social team has never gotten in trouble for comments posted. However, they have been "talked to." Additionally, there have been "lots of times" when they didn’t tweet something because it would be "too harsh." When asked if anyone has ever been fired for a tweet, Wendy’s wittily replied, "Not yet, let's see how the rest of the day goes." The social media department doesn’t get approval for everything, but some tweets need to be reviewed before they are posted. Wendy’s later added a dig at its competitor, "The McDonald’s tweets generally need approval." They also try to respond to as much as they can, but "some stuff takes more planning. In the moment stuff works the best though," Wendy’s said on the session. In terms of how Wendy’s developed its snarky Twitter tone, the brand explained that success happened before anyone on the social media team had a chance to be scared. "And then we just kept going through mistakes," Wendy’s added. 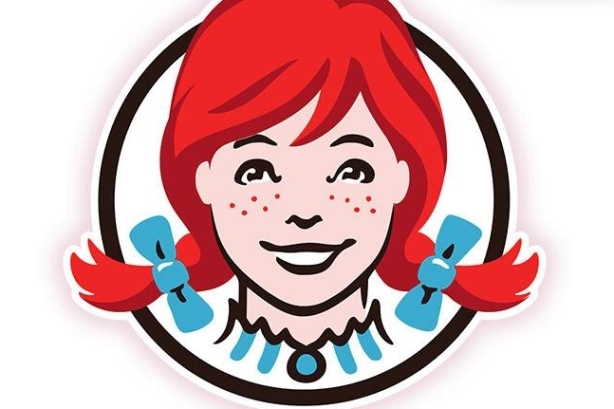 When asked how the team comes up with its retorts and roasts, Wendy’s said, "It's pretty conversational. It just sort of happens." Wendy’s was actually, dare we say, kind to most of its competitors during the AMA. It name dropped Pop-Tarts, Arby’s, and MoonPie as "good examples" of brands that are taking a "more fun approach" to social. However, McDonald’s didn’t get away so scot-free: "[We roast them all the time] because they deserve it," Wendy’s said, with a number of other digs targeted at the fast-food chain throughout the session. There were even some timely questions. Of course at least one Reddit user had to ask about Wendy’s stance on Net Neutrality. "We sort of need people to have the internet to keep this sweet meme train on the tracks," Wendy’s said.